Charlie Craig and David Mullins were planning their wedding reception and went to Masterpiece Cakeshop to order their wedding cake. The bakery turned them away, using religion as as the justification to refuse to serve the couple. The Colorado Civil Rights Commission and the Colorado Court of Appeals determined the bakery violated a state civil-rights law when it turned the couple away. 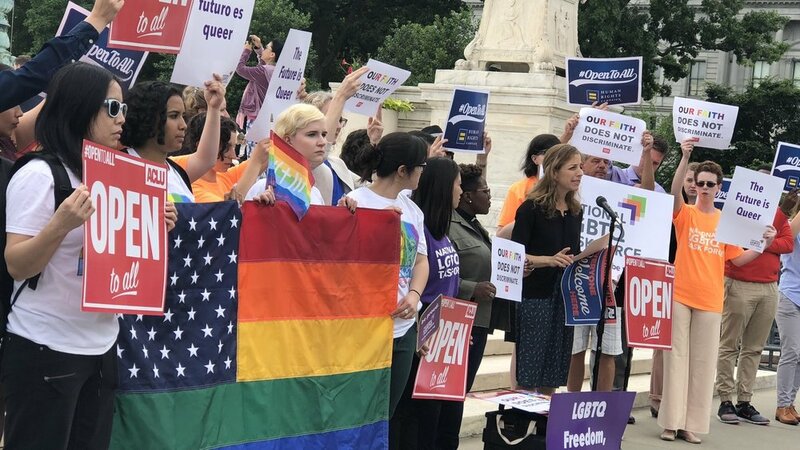 There are more cases like Masterpiece in courts across the country right now, and we will continue to fight on behalf of people facing discrimination in the name of religion. We will continue to fight in the courts and the legislatures to ensure that religion isn’t used to harm others. Our country is strongest when we are all free to practice our religion, or no religion, as we choose—without hurting others.